[PDF] The Vital Guide to Commercial Aircraft and Airliners: The World's Current Major Civil Aircraft | Free eBooks Download - EBOOKEE! Posted on 2017-11-01, by luongquocchinh. Description: A new fully revised edition of this comprehensive guide to all the world's main passenger aircraft and the airlines that fly them. Color drawings of major airline markings show tailfin and fuselage liveries. Every aircraft has a full specification and at least one photograph. 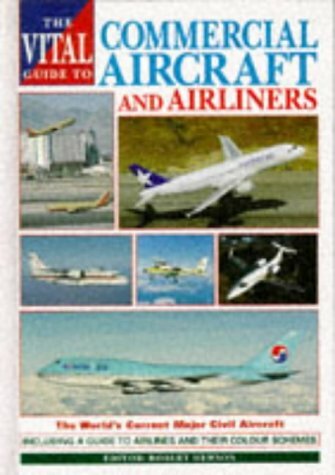 No other 'pocket guide' covers the world's passenger aircraft with such scrupulous accuracy or boasts such a sumptuous appearance. No comments for "[PDF] The Vital Guide to Commercial Aircraft and Airliners: The World's Current Major Civil Aircraft".